Software dev and projects from my shed. 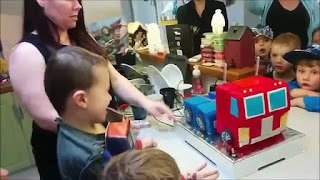 Since uploading Transform Birthday Cake - Optimus Prime on You Tube I have heard from many people wanting to know how the "animated cake platform" works. I have used my fair share of open source software and hardware in my time so I am only too happy to share and give something back. 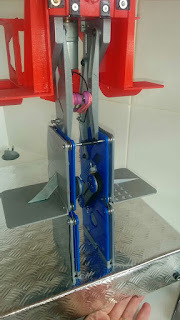 You can read on to see how I made the machine you see in the video or you can follow my build project where I am making an easy to build version so you can make your own. Its worth pointing out I am not a mechanical engineer, I simply enjoy designing and making things for a hobby. Its important for me to say this because I don't want people (especially my kids) to dismiss an idea because they "arn't smart enough". The internet is jam packed with information on every subject, if it interested you got for it! 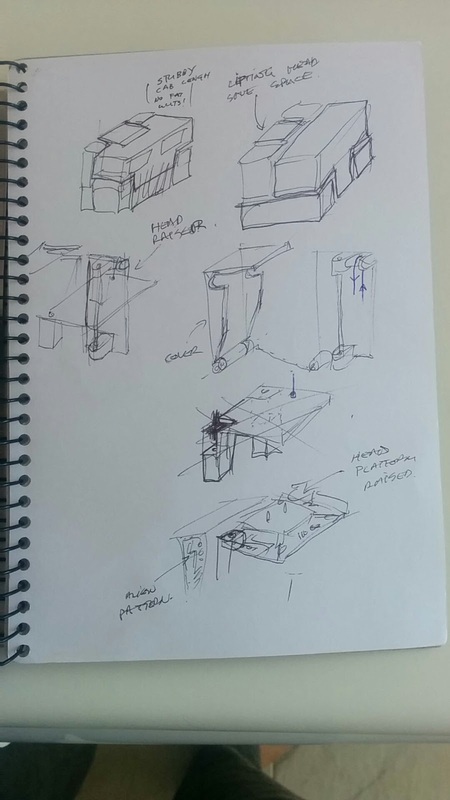 Thats is what I did here: find out just enough information to make this idea become reality. This idea came simply from my eldest son asking for a Transformers cake for his birthday, my wife makes our two boys cakes each year. My inner child immediately pictured a cake that actually transformed and that was it, I was hooked. I pondered the idea for a while and concluded that yes it could conceptually be done but I knew it couldn't just be a machine covered in icing, it needed to be first and for most an actual cake, the machine would need to work around the cake. Also I wanted to the final cake to have a sense of wonder about it, yep, wonder. I wanted it to be like a magic trick and fool the viewer (mostly 6 year old children) into thinking the cake was standing up by itself. So that was the challenge, make Optimus Prime come to life in an invisible way. 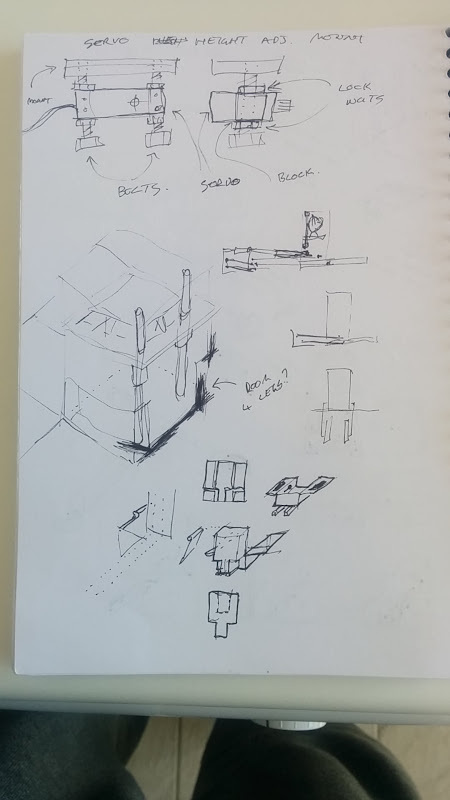 The first few months of the project (of any of my projects) were all paper sketches and doodles, throwing ideas around in my head. As a parent I have very limited time between the kid,s myself and going to bed. So I have no time to waste in the evening. My way around this is to think, design and sketch before hand, I have a 45min train ride to work so this is the perfect time for me to do this. That way when I do step into the workshop it is 100% time on the tools. 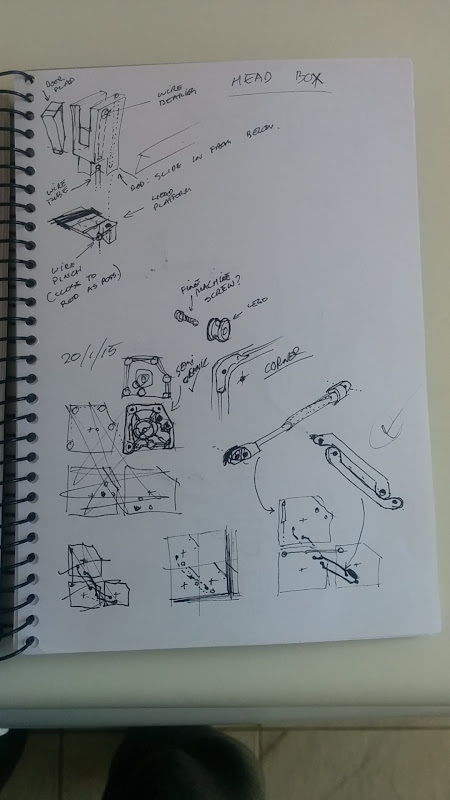 I started sketching in January 2015 and by about March felt I was ready to start entering the design in a CAD package. 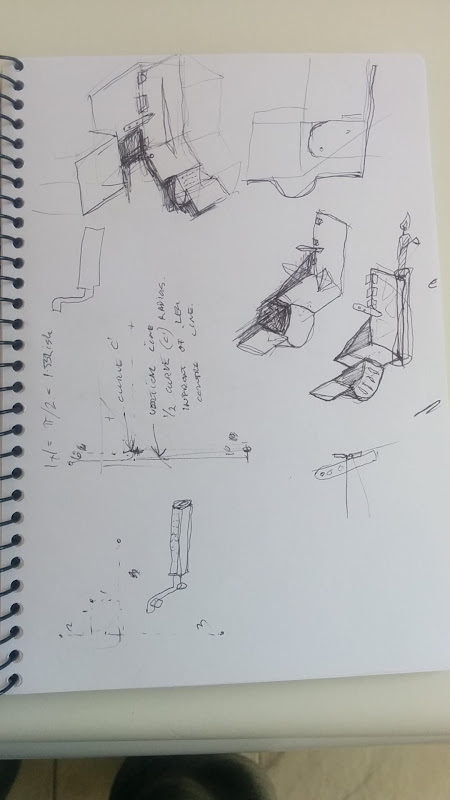 The whole design centers around the concept of using wire under tension, I don’t know the exact engineering term but I got the idea when I recalled an episode of Richard Hammonds Engineering Connections. (Though I can’t recall which episode) In it Richard holds up an old fashion toy man standing on a base. When he pushes a button on the bottom of the toys its arms, body and legs go limp, when he releases it the toy stand erect from the tension in the spring loaded wires. He did this to illustrate this properties of wire under tension. The skeleton has two modules: the legs (blue and grey parts) and the Cab (Red parts). 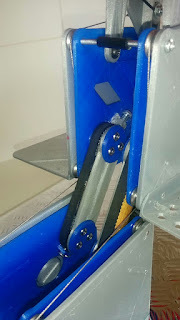 The legs have 2 different types of lift connections, for sake of explanation let’s call them the shin connection (connecting the two blue blocks) and the thigh connection (connecting the middle block to the cab). The cab has two L-shaped arms, and a center column holding the mechanism for simultaneously raising the head and opening the arms. The blue and grey sections have steel fishing wire weaved through them in such a way that when the wire is pulled the connections want to climb (see this YouTube video), just like the toy man that inspired it. 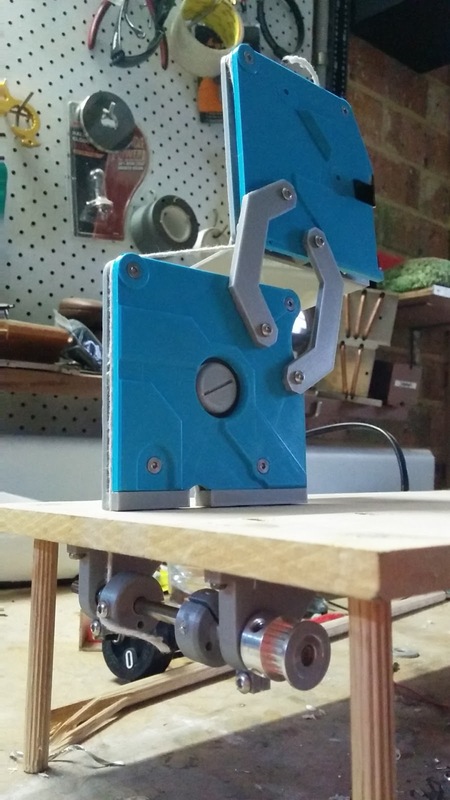 The wire is pulled by a gear-down stepper motor, more on that later. Each corner that the wire threads around has a small v-grooved bearing (gotta love ebay) to make the transformation nice and smooth. Not only is steel fishing wire strong, skinny and flexible, it also of course conducts electricity. Notice in the picture to the right the shin connection has a motion range of 180deg. This is important because the middle blue block needs to swing around clear of the rear blue block when it transforms. Also the blue pieces need to remain parallel throughout the movement,.That is what the belt is for. I got the idea for the belt off this video from this amazing Channel via an article on Makezine. First try: "Bent Parallel Bar"
My hope was that the belt would give me high strength and accurate movement, something I wasn't confident my first design would deliver. 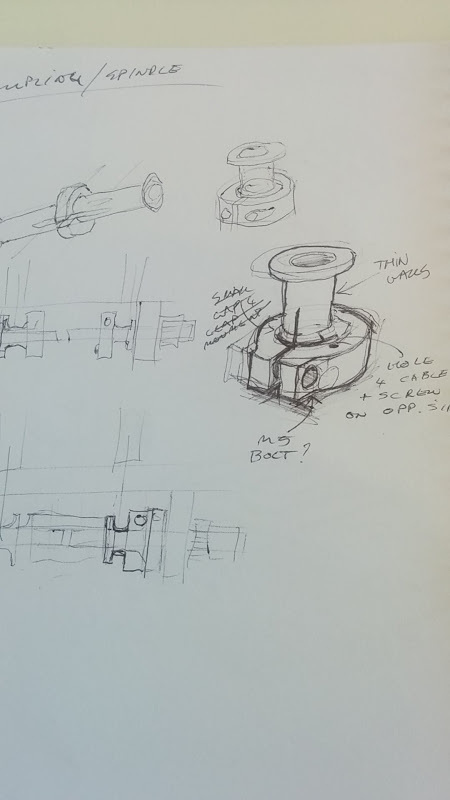 The down side to this approach were many: the 3D printed pulleys teeth didn’t quite align right (by the tinniest amount) so the belt teeth didn’t grip properly, so then it needed super tight (custom sized) belts to compensate, but the force of the tight belts caused the plastic to bend, which then required reinforcing the connecting rods and caused friction issues plus having to assemble and disassemble this fiddly mechanism over and over, it was all very frustrating. Copy this particular design at the risk of your own sanity! Instead I hope you take inspiration and the principles used and make your own improvements on this design. This connection was simple 90deg hinges and probably because of that fact they worked just fine. The end of each wire attaches to the middle of lower connection. 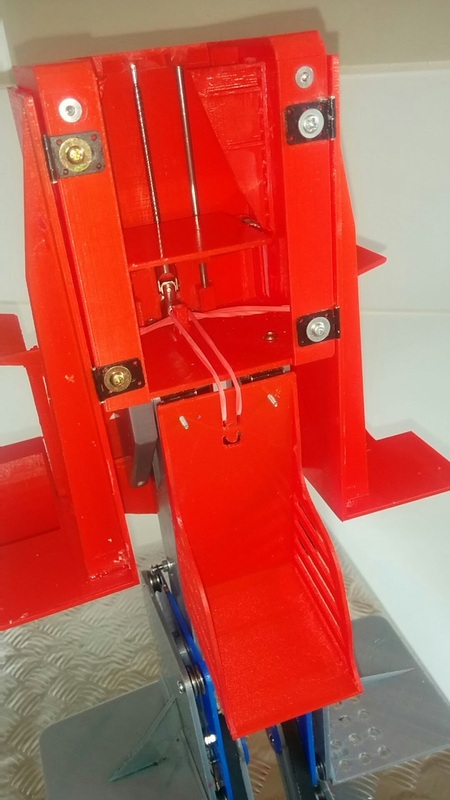 Many springs and elastic bands were used to assist the stepper motor and ensure the cab lifts before the legs. The elastic bands are used to pull and the springs to both pull and push. The cab did not naturally fall from vertical under its own weight as I had hoped it would. I improvised and over stretched the springs so by the time the connection is vertical the strings are actually applying a pushing force to help the cab fall when the cable slackens for the downward journey. This was the second most difficult part. It took many train rides to try and figure out a simple way to make it all work. I originally wanted not only the head to lift and the arms to open but also the forearms to descend. I eventually had to concede that the forearm descend element was going too far and it was dropped in favor of the L-shaped arms. Hiding under the cab is a geared dc motor attached to a lead screw that I stripped out of an old CD/DVD drive. The lead screw raised a small platform that the head sits on. 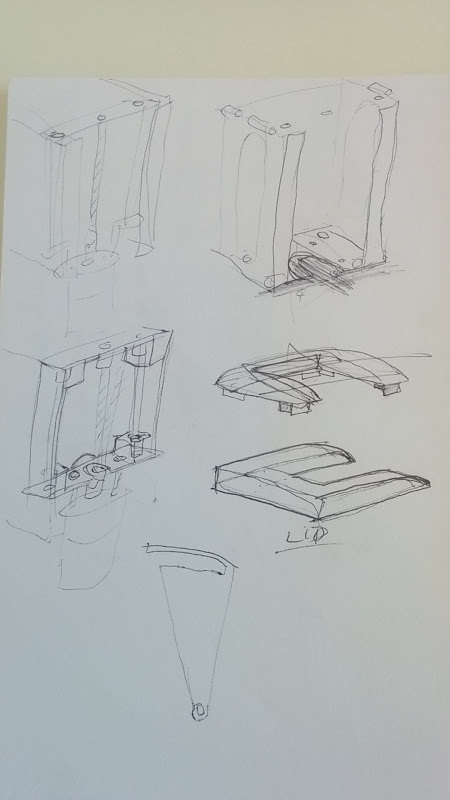 To move the arms each one has a "curved triangle" piece that the platform pushes against with small bearings. Sort of like a cam-and-follower. The rear door is also actioned by the upward motion of the platform. Note the curved profile on the door so it opens early in the movement clearing space for the head. Elastic bands are used to pull the arms and the rear door closed when the platform is lowered. The dc motor gets its power through the primary wires, sneaky huh :) Look on the side of the rear blue block and you will see black wires connected the rear most bearing. 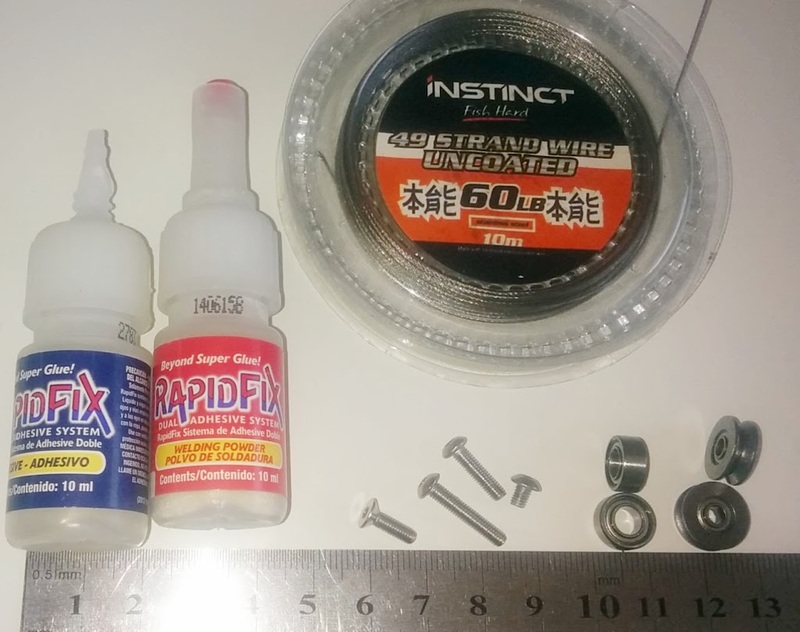 The power travels through the metal bearing, along the fishing wire through the connecting pin then up to the motor. Simple and ultra invisible. Everything was designed with 3D printing and cake in mind. The printing was done via a local printer iprimin on 3Dhubs on his Ultimaker 2. PLA was the material of choice because it is considered food safe. I actually got 3 batches of prints done: the first so I could get a feel for the PLA material and feed that back into the design before the other two batches for legs and cab. 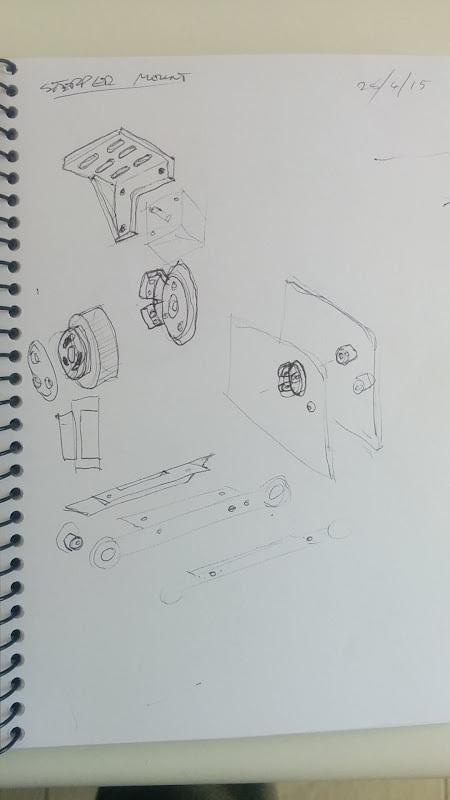 The winch system is simple enough: the stepper motor is gears down from a 20 tooth to a 32 tooth pulleys and additionally geared down by using a very small diameter on the spindles. The bearing and stepper mounts are 3d printed also. 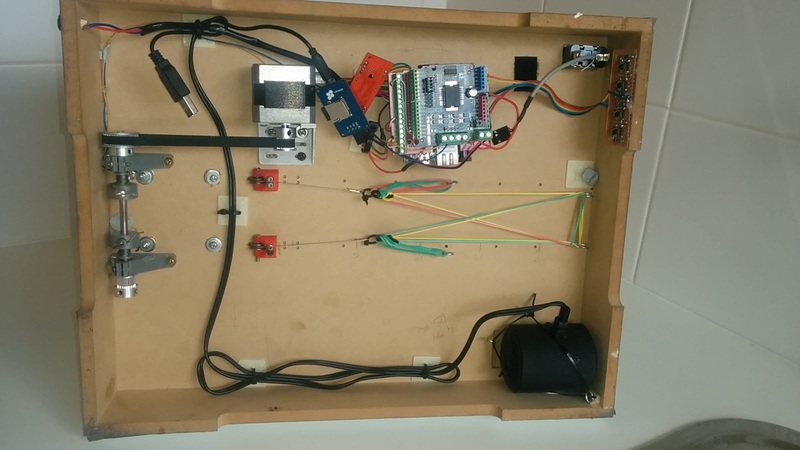 An Arduino is used along with an easyDriver, 2amp DC motor driver and mp3 player module. 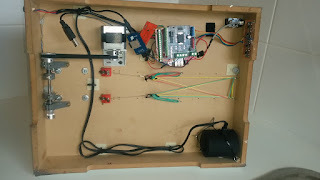 The black cylinder is a portable music speaker and the 4 buttons (top right) are just for development purpose to move the stepper and head motors when I needed. The base is covered with metal look contact sheet bought from Kmart (Australia). Credit to my wife for that nice finishing touch. To lower the legs a secondary set of wires uses more elastic bands (see the underbelly pic) to pull when the primary wires slacken. Note in the picture that there are 2 groups of elastic bands, one connected to the rear of the base and the other to the middle. This is so I could control the amount of force and when it is applied. The middle mounted elastic bands work only for the first 5-6 downward centimeters to pull the shin connection over the initial lump. The second set of elastic bands is used to take up the slack for the rest of the downward movement. mmmm cake. Plus a random cup cake. The cake is where all very nearly came unstuck. I drastically under calculated (totally stuffed up actually) how much mud cake weighs. So the cab had some Styrofoam in it to help lighten the load a little. The cake was chocolate mud cake covered Bakels Pettinice (Fondant) rolled as thinly as possible to reduce weight. Rolkem Super silver was used where a metal look was needed. Whilst I and a good portion of the internet think the cake looks great, my wife did have much grander plans for other icing based decorations which I vetoed as I was so worried it would fail to lift on the day. Yes it came that close to being overweight. I had so much fun designing, problem solving, building and also having a project to share with my wife. We are thrilled with how it turned out and are totally overwhelmed with the positive responses it has received. If you have any questions please feel free to ask in the comments. If this inspires you to make one of your own please let me know I would love to hear about it. Birthday boy gets the first piece!